Even if You Know Nothing About Bookkeeping. Something exciting is happening in the world of bookkeeping. What was once viewed as a boring business is now regarded as a real profession with great earning potential. More importantly, bookkeeping is an untapped business market waiting to be claimed by able individuals. Do you have what it takes to start and grow your bookkeeping business? You can find out by registering for this FREE online Bookkeeper Business Blueprint training. 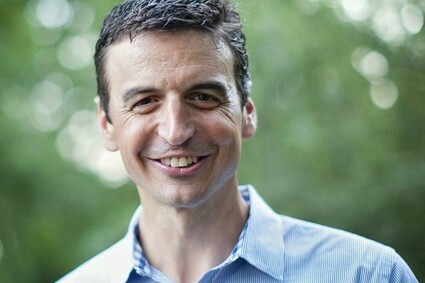 We sat down with Founder and Chief Instructor Ben Robinson, CPA of Bookkeeper Business Academy to learn more about this virtual, home-based business and his upcoming free training series. I’ve been a Certified Public Accountant (CPA and of course the life of every party) since 1999. During this time, I’ve been the owner of two accounting firms and taught, as of this interview, 117 people how to become great bookkeepers. After starting my first accounting firm, I realized that I needed help with bookkeeping. You see, bookkeeping is the foundation of all businesses financial success. It is mission critical that business owners have solid bookkeeping in place. And, of course, that means having a solid bookkeepER in place too. So, I went out and tried to hire great bookkeepers: FAIL! They were like finding a senior citizen at a Justin Bieber concert: Impossible. When I was lucky enough to locate a great bookkeeper, they laughed at my request to join me and my firm. They laughed because they had more than enough business and could earn a lot more money working for themselves versus working for me. I moved on to Plan B which was to go out and find quality individuals and teach them how to be great bookkeepers. At first, my results were average. Some people turned out to be great and others … well, not so much. One day “it” dawned on me to study the characteristics of the handful of great bookkeepers that I trained personally as well as the ones I located during Plan A. These great bookkeepers shared seven personal characteristics to a T. Without exception. Now I was onto something. I started hiring people with these characteristics, and it was off to the races with my bookkeeping practice. I am revealing these personal characteristics that great bookkeepers share with everyone in this free online training. I’ve taken my 14 years of training great bookkeepers and now teach people how to start their own bookkeeping business delivering a superior service to a starving audience of business owners. Fast forward to 2015, and I sold my accounting firm. I soon discovered, through the unfortunate circumstances of a good friend, that my new mission was to help people start and grow their OWN successful bookkeeping businesses rather than work for someone else. How Did You Get Involved Teaching People How To Start a Bookkeeping Business? My friend Kelly called me in tears. She had just lost her stay-at-home job due to downsizing. Losing your job is never a good thing, but for Kelly, it was double trouble. Kelly is a single mom to 3 young boys. Losing this stay-at-home job meant Kelly might be forced to work outside her home and miss out on a lot of life’s important events such as being there when her kids get on and off the school bus. During this conversation, I told Kelly she needed to start her own bookkeeping business. At first, she laughed thinking I was crazy. However, the more I explained to Kelly the personal characteristics she needed to have, as well as the unique opportunity of owning a bookkeeping business, her laughter turned to joy as she now had learned of a way to earn a good living, stay at home with her boys and be in control of her schedule 100%. What Will People Learn During Your Free Training Series? I start by describing the personal characteristics of a great bookkeeper. Most people have no prior experience in bookkeeping, accounting or finance. Now, I see this as a good thing where others might see it as bad. The reason I see the lack of experience as good is that these individuals don’t have to be un-trained from bad bookkeeping practices of the past. So, the goal for the first training is to help you determine, for yourself, if you have what it takes to be a great bookkeeper. What are Some of the Benefits to Owning a Bookkeeping Business? Am I limited here? There are so many … IF you set up your bookkeeping business the right way! The first benefit to owning a bookkeeping business is freedom to choose where you work when you work and with whom you work. You are in control when you own your own bookkeeping business and your schedule. Want to work from home? Do it! Want to work from your local coffee shop? Go for it! You’ve got the power. The second benefit is the money. You can earn a solid income with a high hourly rate equivalent. I know of no other business that you can start for so little and have the potential to earn so much. 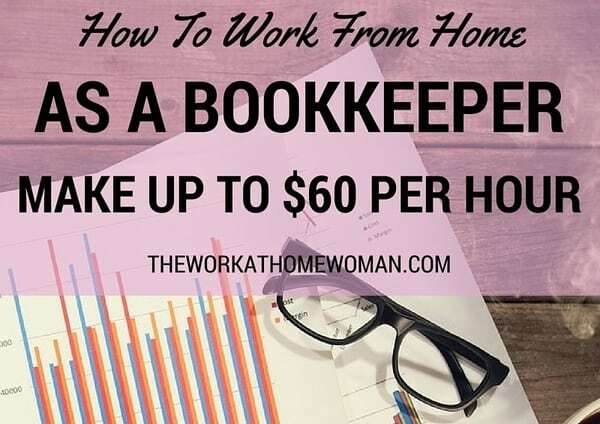 According to the U.S. Bureau of Labor Statistics, the average full-time bookkeeper earns around $40,000 per year. But remember, this is for an employee, not a home-based business owner. As a self-employed individual, you can charge much more while working fewer hours. In fact, in my course, I instruct bookkeepers to target at least $60 an hour as their goal. The third benefit is that bookkeeping is in high demand. Bookkeeping has been around for nearly 500 years. It’s not going away. The technology changes but the principles are the same today as they were 500 years ago! Every business is REQUIRED to do bookkeeping. With nearly 30 million businesses in the U.S. alone that creates a high-demand business. If someone is looking for a get-rich-quick scheme, then a bookkeeping business isn’t their ticket. If someone isn’t willing to invest the time to learn the Xs and Os of bookkeeping AND the proper way to run their business, they need to move on. 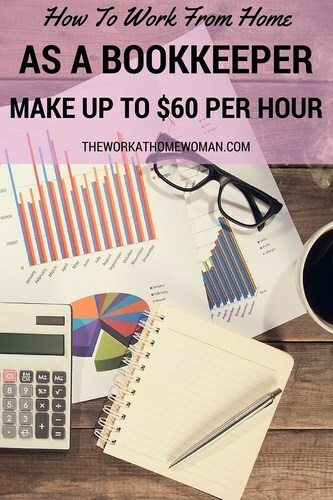 However, if you’re a hard worker and are willing to invest the time, I will teach you how to start and grow a successful bookkeeping business. In this FREE training, I go over the characteristics needed to become a great bookkeeper. It’s important that anyone considering bookkeeping as a profession watches this and is honest with themselves about who they are. We all want success and making sure you’ve got what it takes on the front-end before you launch a business, is crucial to making this a reality. This is 100% quality content, and there’s nothing like it out there. This window of opportunity for great bookkeepers is open now. You owe it to yourself to check this out and see if you’re a candidate! Go! One additional side note: The Bookkeeper Business Launch has an A+ rating on the Better Business Bureau website. Ready to start your own home-based bookkeeping business, go here and sign-up for the FREE training. This post was written by Ben Robinson of Bookkeeper Business Launch and contains affiliate links. Please be aware that we can only promote advertising from companies that we feel we can legitimately recommend to our readers. For more information, please see our disclosure policy. Hi,,im ver interested to learn bookeeping. I know it says free, but im just wondering, how he earns from this if this training is for free.? So Im wondering if along the way there will be fee, just so we will ge aware and be ready. Thanks! Oh ok, i think Arie already answered my question. The first sessions are free. If you decide bookkeeping is the right business for you, you can take Ben’s advanced training. Yes this is definitely a way for “Holly” to earn her percentage to get people signed up for the second and so on courses of this Ben bookkeeper. I run a business at home and thought this might be usefull. Hinting to pay for courses is what they do. Very disappointing. First, the free course is for people who think bookkeeping may be good career path — it gives them an inside peek into the profession, and if they feel like it’s a good fit, they can choose to purchase the full course, or not. Either way, the mini course is 100 percent free and I earn nothing from it. If an individual decides to buy the full-course, I do earn a small affiliate commission — which has been disclosed. I’m sorry that this post wasn’t helpful to you on your journey — bookkeeping is not for everyone. Lastly, yes, I do earn money from advertising and affiliate marketing, that’s how I’m able to keep all of the information on this site free for readers. Yes, the free information is an introduction to bookkeeping. It is a great way for people to decide if bookkeeping is the right home business for them. Just curious… why would this training be any better than going to a local Community College for an AS degree in Accounting? Hi Holly, This training is for bookkeeping — which is managing a business’ monthly financial transactions. Accounting on the other hand is more advanced and requires a degree. Accountants interpret, classify, analyze, and report financial data (quarterly and end of the year taxes). This training can be completed in a short amount of time where an accounting degree will 2 years for an associate’s degree and 4-5 years for a bachelor’s degree. To become a Certified Public Accountant (CPA) you need to have a bachelor’s degree. Can you give me work for bookkeeping ?? ?I am accountant in ahmedabad.. This is free training is for starting your own bookkeeping business. Good luck! Hi, I am an Accountant and I think this would be a wonderful opportunity to make money. Just a quick question? What is the possibility of someone doing bookkeeping from another country other than the USA? I have done quite a lot of bookkeeping work and I have alot of experience in this. If possible then that would be an excellent opportunity for me. Will this provide a steady income? I went through an unwanted divorce, and I have a son who gets SSI. I’d like to get off welfare, so I need something that’s steady and not sporadic. Thank you for your question. One of the aspects that I really like about bookkeeping is that it’s repeat, every month business. It’s as steady as you can get. There is a slight uptick in revenue (good thing) in the first quarter of the year due to tax time and business owners who have gotten behind on their books coming to you for help. But, that’s a positive! Hi! Can I do this job even if I’m in Italy and my English level is not the best? Sure I’m trying to improve it as much I can. Yes, the training is online, so location is not a barrier. And running your own bookkeeping can be done from anywhere in the world. Good luck and keep us posted. Is it possible to start the training on-line before September please. I’d love to get started sooner if I can. Hi Amanda. I believe if you sign up for the training now — it can be taken anytime, because it’s recorded. I’ll get Ben to confirm – thanks. Hello Ben how do you sign up as an affiliate? Am I still able to go through and read everything and learn? Yes, just click on the link and it will take you to a landing page where you can sign up for the free training. Hi Shelley, The training is online so it’s open to all.